I would enjoy seeing building instructions for some interesting Studio Architecture creations. Chad, I have created building instructions for many models. 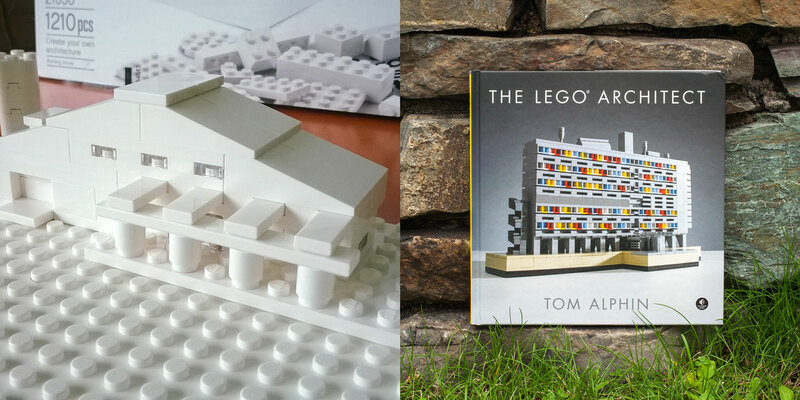 My book, The LEGO Architect includes instructions to build 10 LEGO models across seven architectural styles. I also made instructions for a few additional models available at http://brickarchitect.com/book/extras/. I use your book to teach an architecture class to middle schoolers once/week in our homeschool co-op. I didn’t think the book that came with the set was very good, so I was really glad when I found your book. We did all the projects in it, though I did have to order a few extra bricks to do it. Thanks for this resource! Thank you Susan for taking the time to share your positive experiences with ‘The LEGO Architect’ in your classroom setting. When I wrote the book, I hoped that it would serve dual duty – Inspiring young people to explore Architecture as well as appealing to adults. I am blessed an honoured to hear from people like you that it is something that young people are enjoying too. I’d love to hear more about how the book has worked with the kids… For example, do the focus on the LEGO models and building instructions, or do you find them reading the chapter text and looking at the photos of real buildings as well? Do they tend to jump around in the book, or are the able to focus on a single style of architecture for a single session? Further, I hope that it was easy for you to acquire the extra bricks… Did you use the resources at http://http://brickarchitect.com/book/bricks/ to help acquire the extra bricks, or did you make your own list of bricks to acquire? Lastly, did you decide to organize the bricks? or just keep them in a large box? I’ve had your book for over a year now, and still enjoy it. It did offer some new ideas, like the art-deco inspirations, that id never explored. My only problem with the actual studio set are the limitations laced by so few blocks. I would much rather have spent more money to get some more basic tools and maybe a few green plates, just for display if nothing else. One quick question; where can I find new pieces in “bulk?” I don’t want to destroy my existing completed sets, just to have more pieces, but I don’t want to spend the hundreds of dollars on “actual store sets.” thanks for your work and any ideas. I have a longer article about how and where to buy LEGO bricks at http://brickarchitect.com/book/bricks/ although the summary is pretty simple: bricklink.com is the most reliable way to buy any LEGO brick for a fair price. In total agreement with your views on the LEGO Architect set, the more so about the limitations of the selection of bricks provided. As for the book which is included it left me feeling both frustrated and without inspiration. Having had the set since Christmas 2014 and having been developing my skills as an AFOL (returning after 30 years away). I’m in total support of your guide to the type of brick which should be included.